and 3.home we brought you shoulder-high. Townsman of a 4.stiller town. Housman A. E. 'To An Athlete Dying Young' in A World of Prose. Edited by Mark McWatt and Hazel Simmonds McDonald. Pearson Education Ltd, 2005. The persona is recalling the fact that an athlete, who was a fellow townsman, won a race for their town. As a result, the athlete was cheered by the townspeople and brought home on their shoulders. The persona then takes the poem into the present by making the reader/ audience aware that the athlete is now dead. The third stanza reveals the persona's views on the death of the athlete. He believes that the athlete was smart to die. This is the case because he has left a world where glory is fleeting. The persona goes on to explain that if a person is dead, they cannot see their record broken. 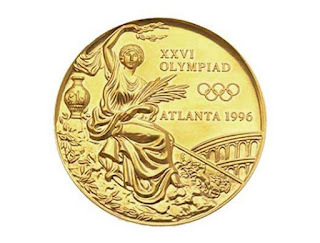 He believes that the athlete is lucky because he will not be one of the many athletes who have worn their honours out, and have been beaten. The persona is basically pointing out that if you die young, in the midst of your success, you will not see your record, or the standard that you have set, broken. Stanza 6, lines 21-22: This device emphasizes the major point of this poem; that glory is fleeting, therefore, the persona is lucky that he is no longer in the race. He has set his 'fleet foot', or speedy legs, at death's door. The interesting repetition of two different consonants first draws the reader's eye, then the words emphasize the main point of the poem. The pun is placed on the word 'chaired' and 'cheering'. The first word implies that the athlete was carried on the shoulders of the townsfolk, while the second word, implies that the athlete was applauded by the inhabitants of the town. Both words carry the implication that people of the town were pleased with the athlete's performance. The repetition of this particular phrase highlights the fact hat, whether in life or death, the athlete was respected. Stanza 2, line 8: The term 'stiller town' is used to replace the word cemetery. It is a term that softens the tone of the poem. Stanza 4, line: 13: The term 'shady night' is used to replace the harsher word 'death'. It too softens the tone of the poem. 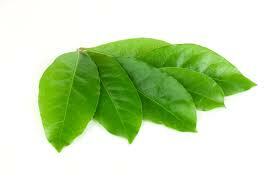 A laurel is literally a plant with dark, green glossy leaves. This plant was worn on the head as an emblem of victory, or a mark of honour, in classical times. This plant is compared to the rose because it is said, according to the persona, to wither faster. On a figurative level, this could be interpreted as meaning that victory, as represented by the laurel, does not last. The contrast exists between silence being given a sound. This immediately draws the reader/ audience's attention, which, in turn, purposefully highlights the main theme of the poem; it is better to die before one witnesses their record cut. Silence is no worse than cheers when one can hear neither of them. 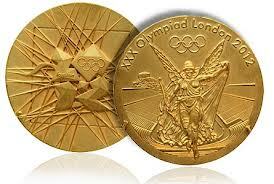 The persona believes that the athlete is smart to die before his record was shattered by some-one else. Earth, in this context, literally means the dirt that covers a coffin. Therefore, the athlete can hear neither silence nor cheers when his coffin is enclosed by dirt. This word literally means an overwhelming defeat. The persona is, therefore, saying that the athlete will not become a part of the group of athletes that are defeated if he dies before his record is broken. This line refers to the fact that when an athlete outlives his record, he is no longer placed on a pedestal and adored. He has, therefore, worn his honours out. This word is defined as a horizontal architectural member supporting the weight of an opening (window or door). In this context, the lintel is the supporting structure above the coffin and the persona is holding it up. This implies that the athlete will remain victorious in death. This line means that the athlete was victorious in his youth. The dead will find that the athlete is still victorious, even in death. 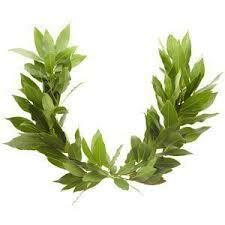 Therefore, the laurel, which signifies success and victory, will be fresh and unwithered on the athlete's head.